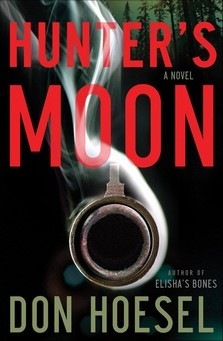 Hunter’s Moon is a gripping story of family secrets that have never been told but have haunted CJ Baxter for years. CJ Baxter is a bestselling novelist whose stories are closely related to the real life secrets he has known for so long. When his grandfather dies, he returns to his home town of Adelia, NY, where he must face the family that he left so long ago. An old flame, a pending divorce, a bitter custody battle over his dog, a suspicious business deal and a decades old secret all serve to complicate CJ’s life and he soon finds that he must release the secrets he has kept for so long… at any cost. The author did a great job of pacing this story out. There was always some mystery that kept me wondering until the end. The plot was well-crafted with many intricacies that all linked together to make the story work. My favorite character in this story was Artie, an old-man who talks to scarecrow and knows more of the Baxter family secrets than he should. Definitely a book I will read again.